I am still processing all of my olfactory activity from the end September until now. It’s been a period of extreme intensity, which has seen me deliver a residency, a solo show, two group shows and 5 workshops around the UK within a 7 week time frame. As you might expect this will take time to evaluate, but doing so will be important as there are certainly things I’d do differently should a similar opportunity arise. No doubt I’ll blog about such an evaluation on here before the end of the year. 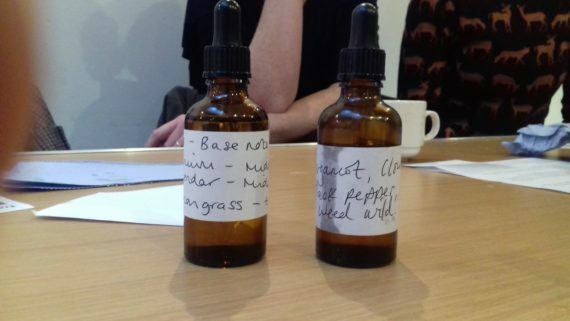 but right now I just want to relax and think about how my most recent perfume making workshop at Abbey House Museum went. You see, I approached this workshop slightly differently. As my practice has veered more towards creating oil based fragrances, I thought it appropriate to begin teaching oil based perfumery. Previously my workshops had taught alcohol based perfumery. I feel oil perfumes are richer and more opulent than their alcohol based counterparts. Plus participants can take a complete perfume home on the day instead of having to add water later on. 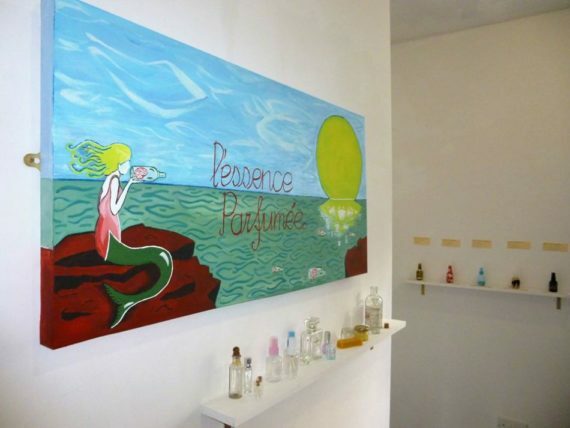 Not to mention the fact that application of oil perfumes is a more personal experience; which directly references my own thought process when designing perfume portraits. On the face of it this may seem small, but it highlights a change going forward as I seek to interweave my workshops with my exhibitions, allowing them to more directly reference each other. I think this is important for reinforcing my role as a fine art perfumer as it shines a light on my own processes. Anyway, all of this rambling is really just delaying the inevitable – that being how to digest the aforementioned last 7 weeks. It will be a big task, but hopefully I’ll have done it by the end of the week. Here goes!